Bacteria which adhere to plants have ability to produce gases such as hydrogen, methane or ammonia. 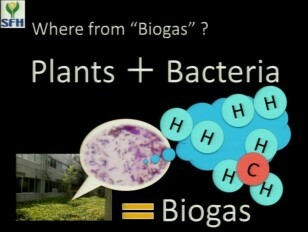 These are called biogas. Biogas is recognized as new and clean source of energy. I wanted to know what kind of bacteria produce biogas. I isolated bacteria from two plants, and analyzed them to find their taxonomy by four methods. SEM, Gram’s stain, analysis of G/C contents in DNA and PCR (sequence). Up to now I have identified bacterial taxonomy, genus bacillus.